This is a special #LSPmeetup edition with Linie94 in Berlin, Germany! The 20€ fee will be used 100% as a donation for our host. Read more about them here: https://linie94.com (German only). We welcome all starters, LEGO® SERIOUS PLAY® newbies and experienced facilitators. We will cover little theory, several exercises and much more. Bring along your questions, stories and knowledge. This time we will provide a bus & bricks! Our hashtags will be #LSPMeetup and #Linie94. Riding across Berlin with Linie94! Various stops: Platz der Luftbrücke, Siegessäule & Berliner Dom. 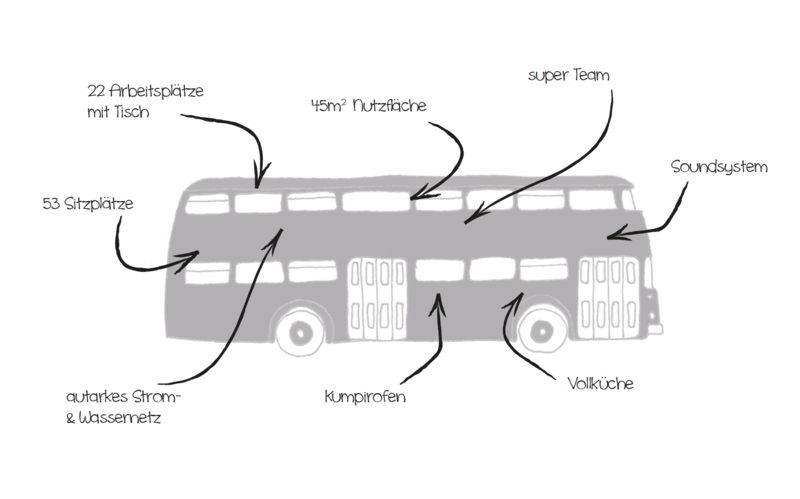 Look for the Linie94 bus!